My interest in biology started from school’s research projects on phenology of plants and communities of freshwater invertebrates. During the first years in Tomsk State University the interest in freshwater communities was continued in the laboratory of Invertebrates where a student project was performed. The Msc and CSc works were both on vegetation, shrubs communities of Altay region (as interest in plants has won during this period). An important role was played by expeditions in the foothills of Altay and in steppe Altay and Kazakhstan joining the laboratory of geobotany of Central Siberian Botanical Garden. After graduation i moved to Khanty-Mansiysk with the professor Elena Lapshina who was organizing a new department in Yugra State University at this time. Several expeditions organized with the aim of studying peatlands in Yugra were useful to observe the new region. My research interest switched by this time to a completely new group of organisms – fungi. 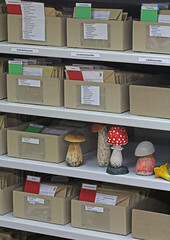 In addition to self-education in mycology and fungal diversity, several internship were organized in 2008-2010 in Botanical Institute of Komarov (Saint-Petersburg) and Moscow State University. Work on the PhD thesis on the Fungal communities of raised bogs was started in 2012 based on field work at Mukhrino Field Station of YSU. The PhD work was conducted in Yugra State University using remote (online) consultations and great help of colleagues from all over the world using mycological forums. The defense of the thesis was in Central Siberian Garden (Novosibirsk) in 2016. The theme of the thesis was continued further as well as fulfilled by additional areas of research around fungal diversity in the region, their communities dynamics, plot-based observations of macrofungi, decomposition dynamics, and conservation. The Fungarium of Yugra State University as part of Biological collection of YSU was organized (the collection, the web site and online database) and is continued to develop. 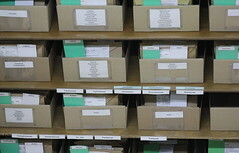 The need for appropriate storage and handling of species collections data brought interest to the realm of biodiversity informatics. This opened wide opportunities for learning and exploring new areas of research. Some attempts of education in mycology and biodiversity studies are made through lectures in University starting from 2017 and organization of Mycological Club of Yugra in 2018. Publications: totally about 40 research articles published, including 19 papers in peer reviewed scientific journals, 18 conference proceedings, 2 datasets in GBIF (see total list of publications).